On Thursday the pound eased off its previous losses against the dollar, after the Bank of England left its monetary policy unchanged while a downbeat report on the U.K. trade balance continued to weigh. 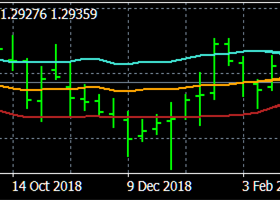 GBP/USD pulled away from 1.4764, the pair's lowest since April 1, to hit 1.4830 during early European afternoon trade, still down 0.26%. 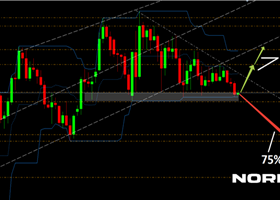 The pair was likely to find support at 1.4685, the low of March 19 and resistance at 1.4974, Wednesday's high. However, sterling was lower against the euro, with EUR/GBP adding 0.17% to 0.7262. The BoE left interest rates unchanged at their current record low of 0.50%, where they have been since March 2009. The central bank also maintained the stock of asset purchases financed by the issuance of central bank reserves at £375 billion. Earlier Thursday, the U.K. Office for National Statistics reported that the country's trade deficit widened to £10.34 billion in February from £9.17 billion in January, whose figure was revised from a previously estimated deficit of £8.41 billion, while economists had expected the trade deficit to hit £9.00 billion in February. Separate data indicated that U.K. house prices rose 0.4% in March, beating expectations for a 0.2% gain. February's change in house prices was revised to a 0.4% fall from a previously estimated 0.3% downtick. The dollar remained supported s markets were estimating the cues about Fed rate hike after some officials' comments, as Wednesday’s minutes of the Fed’s March meeting showed that some representatives believed the economic outlook is likely to warrant an interest rate hike in June. In the euro zone, a report showed on Thursday that German industrial production rose 0.2% in February, ahead of expectations for a 0.1% gain as the production of energy and capital goods increased. A separate report indicated that German exports rose 1.5% in February while imports also increased, pointing to growth in the region’s largest economy.